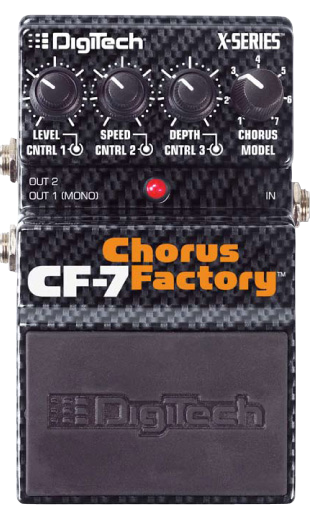 The CF-7 features models based on both classic and the latest modern chorus pedals including the DigiTech® Multi Chorus™*,Voodoo Lab Analog Chorus*, TC Electronic® Stereo Chorus/Flanger*, Fulltone® Choralflange™*, Boss® CH-1 Super Chorus™*, EH® Small Clone® and Boss® CE-5 Chorus Ensemble™. 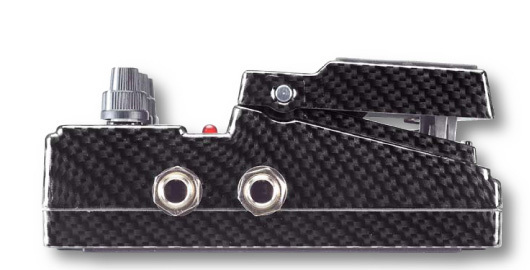 And the cast metal chassis and a sleek carbon fiber finish make it an industrial-strength creative tool. If you are looking for an unprecedented collection of the world's finest chorus effects in a single stompbox, check out the new X-Series™ CF-7 at your DigiTech dealer today. *DigiTech, X-Series, ChorusFactory, and Multi Chorus are trademarks of Harman International Industries, Incorporated registered in the U.S. and other countries. Voodoo Lab Analog Chorus, TC Electronic Stereo Chorus/Flanger, Fulltone Choralflange, Boss CH-1 Super Chorus, Electro Harmonix Small Clone, and Boss CE-5 Chorus Ensemble describe products of DigiTech's competitors, are trademarks of their respective companies in the U.S. and other countries, and are not associated or affiliated with DigiTech or Harman International Industries, Incorporated. 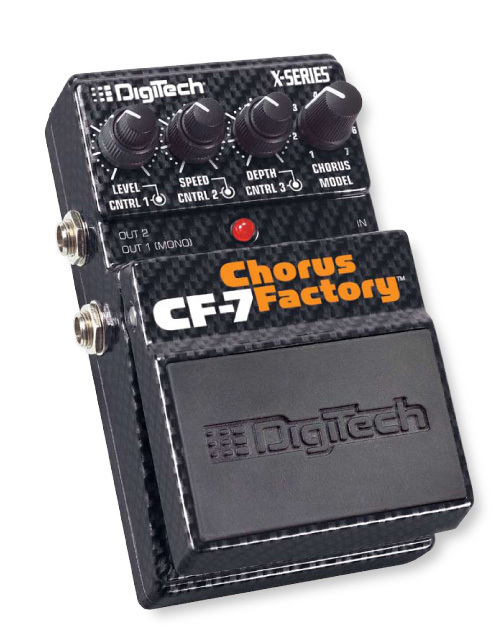 The sounds of these competitors' products were reviewed in the creation of the DigiTech CF-7 Chorus Factory pedal. The use of photos and trademarks describing the competitors' products is intended solely for identification and comparison purposes. 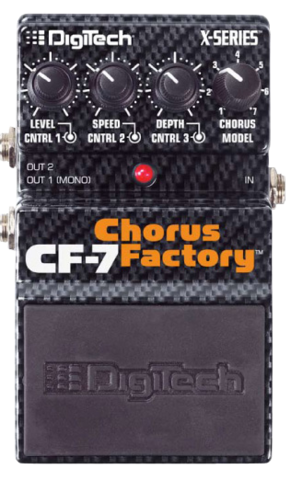 DigiTech's competitors have not approved of or endorsed either such use or the DigiTech CF-7 Chorus Factory pedal. ©2007 Harman International Industries, Inc. All Rights Reserved.